More than 350 canoeists had an emotional paddle from the mainland to Cozumel and back, at the end of last month. 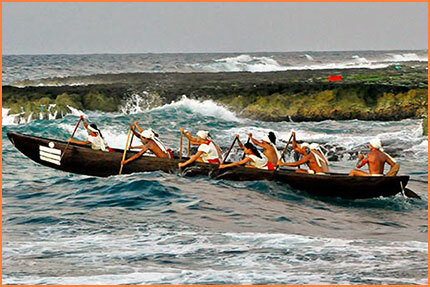 The sea and wind made them battle hard, as they took part in the 2014 historic Travesía Sagrada Maya, or Mayan Sacred Journey. 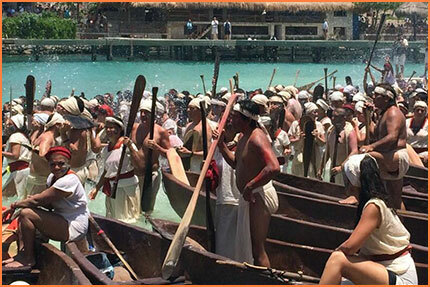 The three-day reenactment brings to life the ancient, mystical journey said to have been taken by the Maya in their quest to pay tribute to the Goddess Ix Chel, whose sanctuary is believed to rest on the island. They left the mainland at sunrise and paddled across the open channel to Cozumel Island where -- tired and emotional -- they were met with the warmest of receptions. The next day they braved the sea again as they dug their paddles deep to cross back to Playa del Carmen in just a matter of hours. 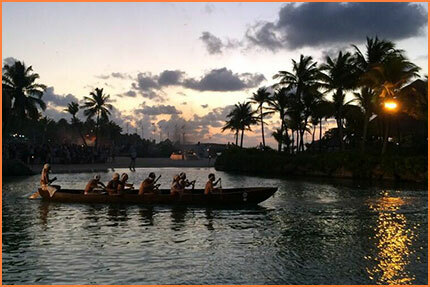 The journey had started in Polé, or Xcaret, on the mainland from where canoes, carefully crafted to match traditional vessels, launched for the 17-mile journey across to Cozumel. In Cozumel, participants made offerings and performed ceremonies for Ix Chel at Chankanaab Park, reviving ancient practices with rituals, dances and music to provide an enriching experience. Those within ear shot heard Mayan myths and heroic legends and learned about the ancient civilizations sophisticated trade, numerology and navigation. The Mayan Sacred Journey reenactments began eight years ago and have helped reawaken interest in this ancient culture from both locals and visitors. 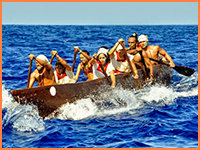 Visit our Facebook page to see previous photos of the Mayan Canoe Crossing or see our tourist information section for more about Cozumel events. Painted Mayan Sea Journeys May 20, 2013. 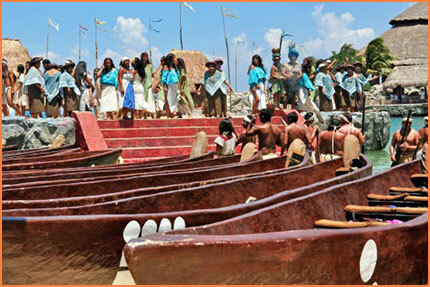 Countdown To Cozumel Canoe Crossing May 9, 2013. 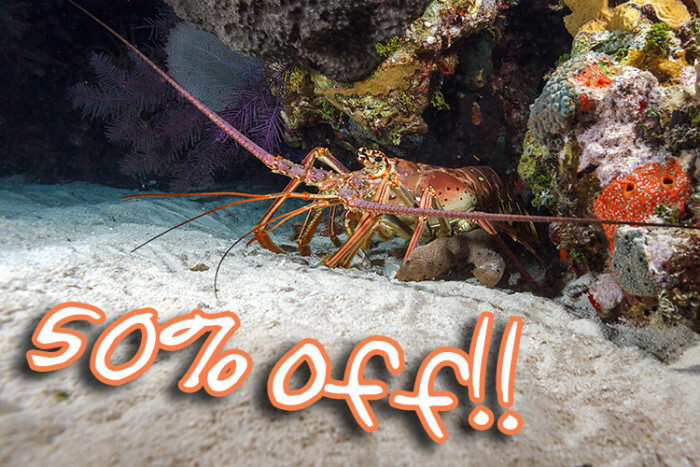 Back To The Baktun In Cozumel Dec 6, 2012. Journey Of Significance May 26, 2012. Tough Paddling To Cozumel May 26, 2011. Training For Sacred Canoe Journey Jan 27, 2011. Goddesses, Chocolate And Canoes May 27, 2010. A Sacred Mayan Journey May 13, 2009. Feature: Sacred Mayan Journey Oct 16, 2008. Pilgrims Paddle To Cozumel May 14, 2008. Sacred Canoe Crossing Jun 6, 2007. Magical Spring Clean May 23, 2007.